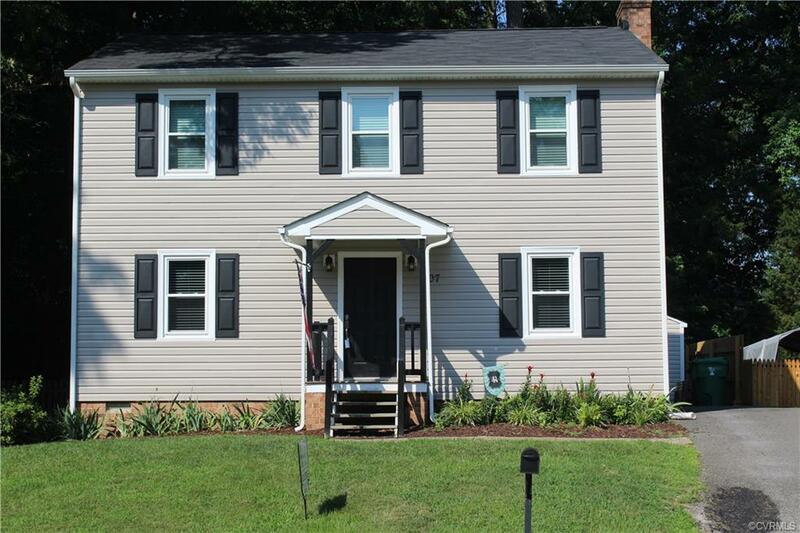 Welcome to this completely renovated 3 Bedroom 2.5 bath home in the heart of Colonial Heights! Step inside to gorgeous engineered hardwood floors throughout the downstairs. Large Family Room features wood burning fireplace. Eat-In Kitchen boasts tile flooring, new stainless steel appliances, and a nice sized pantry. Upstairs features the Master Bedroom with walk-in closet, as well as two additional bedrooms and a hall bathroom. Outside you'll enjoy maintenance-free vinyl siding, a new roof, a new HVAC unit, and a 8X16 storage shed all installed within the last 5 years. Walking distance to White Bank Park and Tussing Elementary School. Minutes from I-95! Schedule your showing today for this move in ready home!